The April Fools event has begun on SuperCPPS and it’s filled with decorated rooms, cool items, stamps and more! This post will offer a full guide to everything at the event! Rookie is confirmed to be visiting for the April Fools event too! You can view a tracker for him here, however you can also find mascot meet-up times here. This party is located around the Box Dimension! In order to get there, head to the Boardwalk/Beach and then enter the glowing purple box. You will then teleport there. Update: starplatnum has kindly informed me that by clicking the spring underneath the Blue Propeller Hat, you will be able to obtain the item! Thank you to starplatnum for informing me of this! Firstly, Rookie will greet you and offer you a free background and a free pin. Simply click “Collect” in order to obtain these! He will then introduce the new things at this party! A “Box Store” will also be available by clicking the icon on the bottom right of your screen when in the Box Dimension. You can then click the “Box Store” to bring up a variety of boxes. The Portal Box will allow you to travel into the Box Dimension from your igloo, even when this party is over. There are no secrets on this page. If you open the Box Store on a Spanish server, which I highly reccommend you do, you will receive an easy stamp. 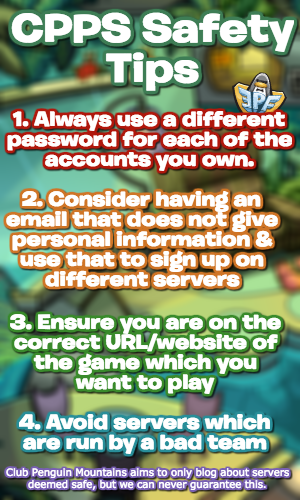 Please be aware you won’t get this if you play on an English server, you’ll only obtain it by opening the Box Store on a Spanish server! The next place to explore is the “Lost Dimension”. Simply waddle into the portal in the middle of the Box Dimension and you will be teleported to this really cool room, filled with animations! If you click the locker on the bottom right of your screen, it will open. If you click it again, you will be able to obtain the Delivery Outfit for free! Also, upon entering the Lost Dimension, you can obtain another stamp, except this time it’s an extreme-difficulty stamp! Once again, you must be on a Spanish server, you won’t obtain this stamp or the other stamp on an English server! That concludes all the activities for this cool April Fools event! 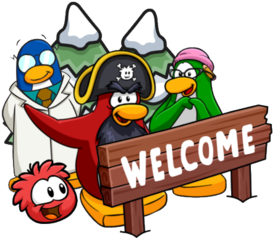 The Puffle Party is also ongoing and the Rock Puffle Celebration is due to begin soon as well. Thank you very much for reading, I hope that this guide helped! Hey torres! This might have been intentional, but I think there’s something you left out of this guide. At the boardwalk, if you walk into the spring with the blue propellor cap on top of it, you can actually pick up the blue propellor cap. You might already be aware of this, but i thought it would be worth informing you anyway.